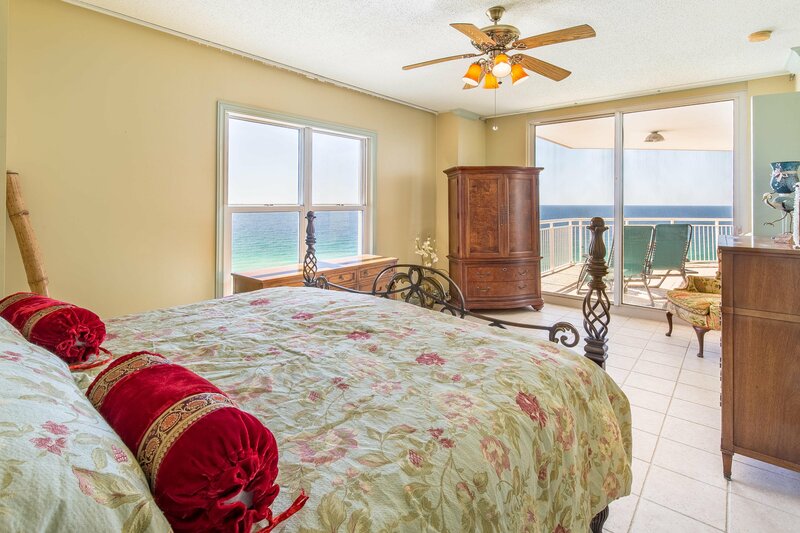 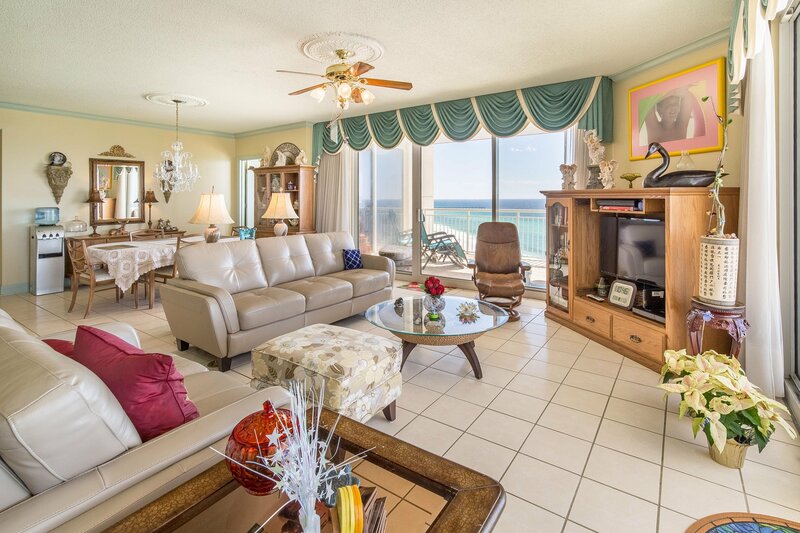 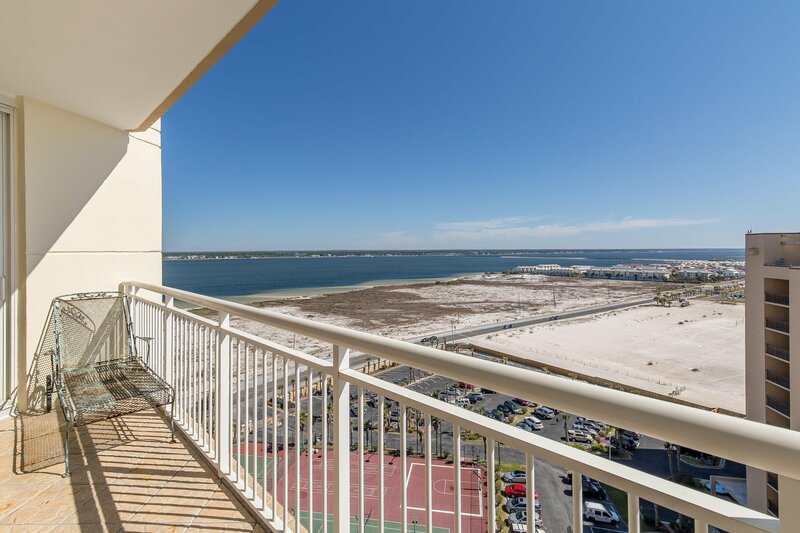 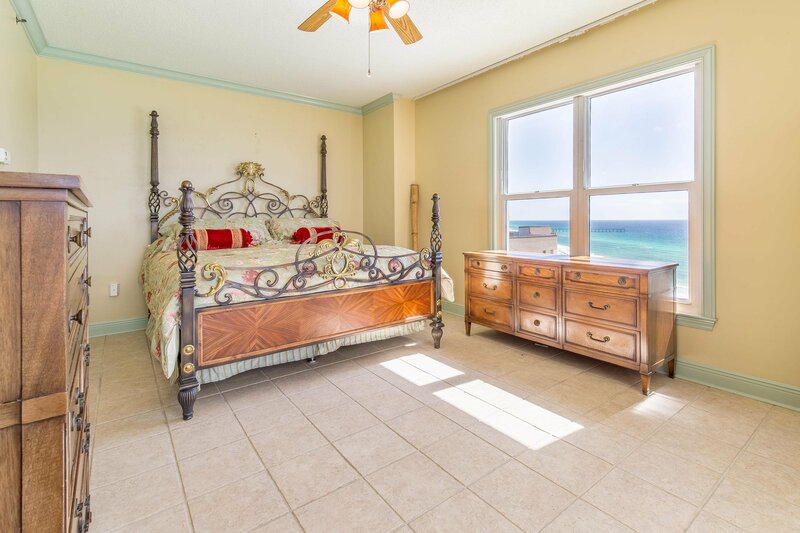 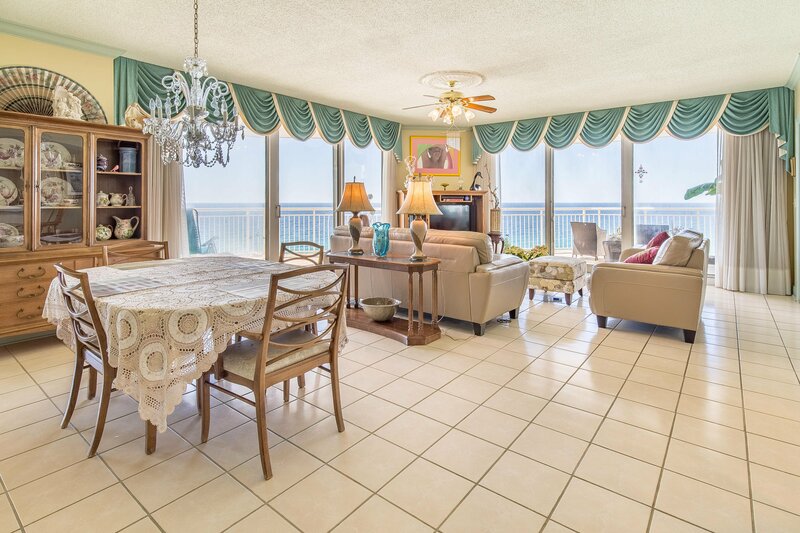 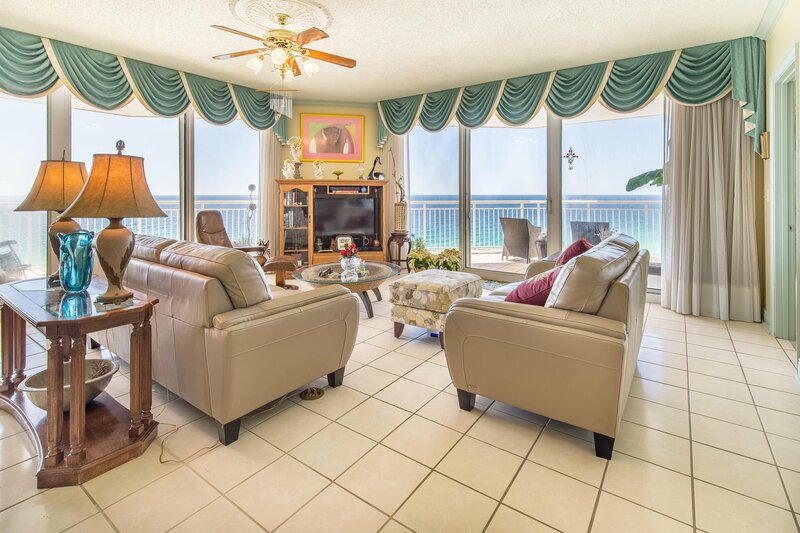 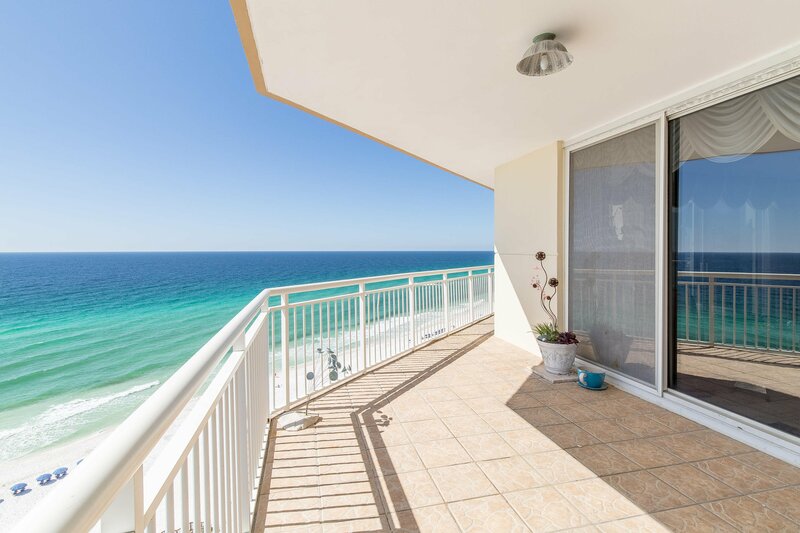 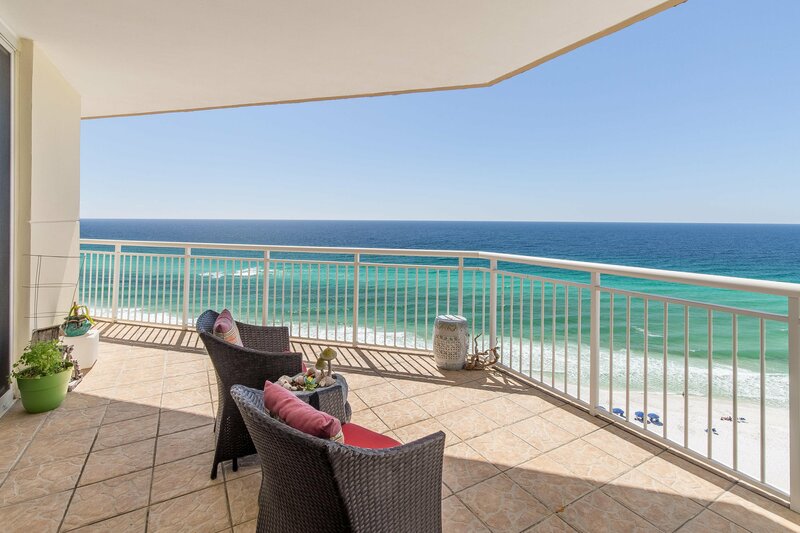 RARE OPPORTUNITY TO OWN THIS GULF FRONT 4 Bed/4 Bath, 2400+ Sq Ft, Condo with Panoramic/Best Views of the Gulf/GULF VIEWS IN EVERY ROOM and NEVER RENTED/One Owner! 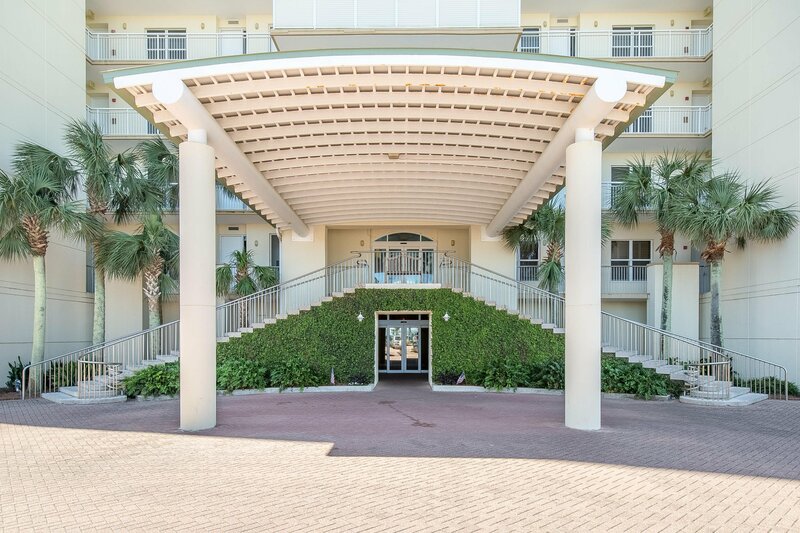 Some features are 9 Ft Ceilings, Custom Crown Molding and Tile throughout, Luxurious Lighting/Fixtures, Built-in China Cabinetry, Balcony Access in Every Room with Two Huge Balconies combined over 420 sq ft, two Master Suites, and more! 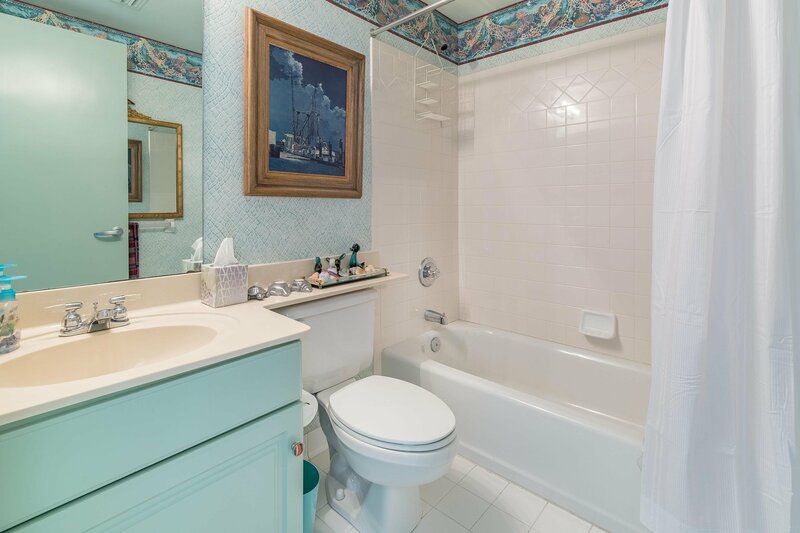 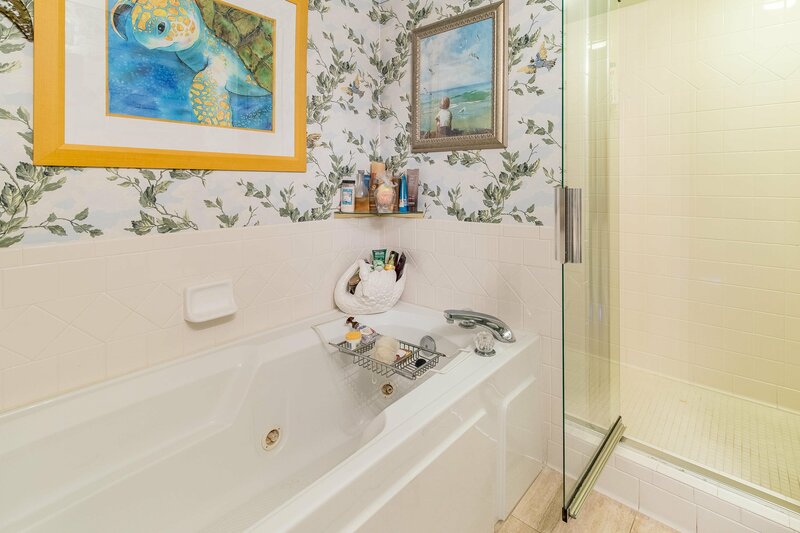 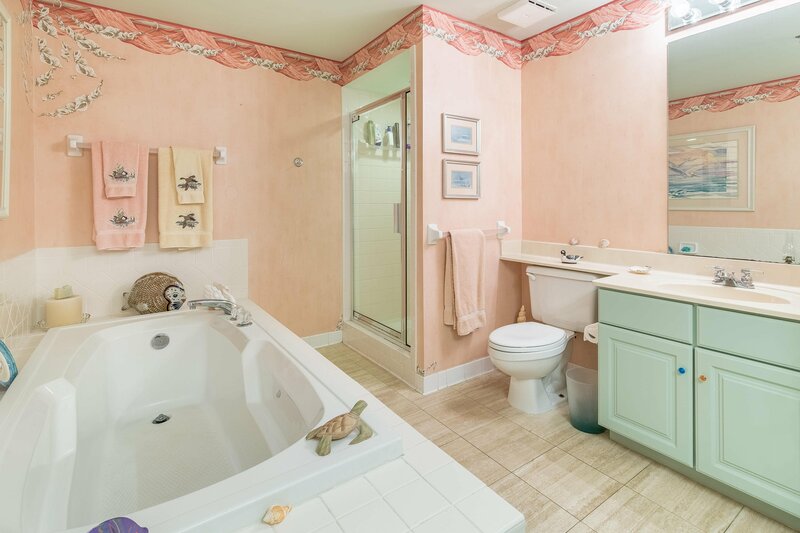 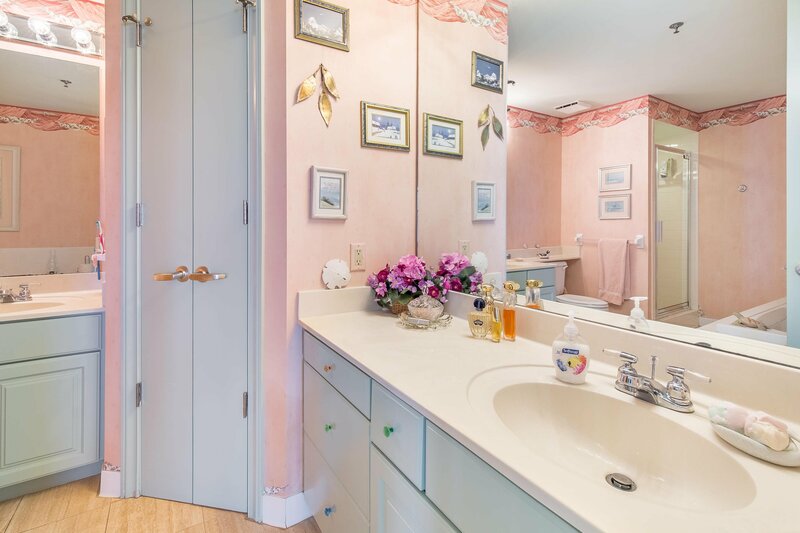 Each Master Suite has a Separate Walk-in Shower and Jetted Tub. 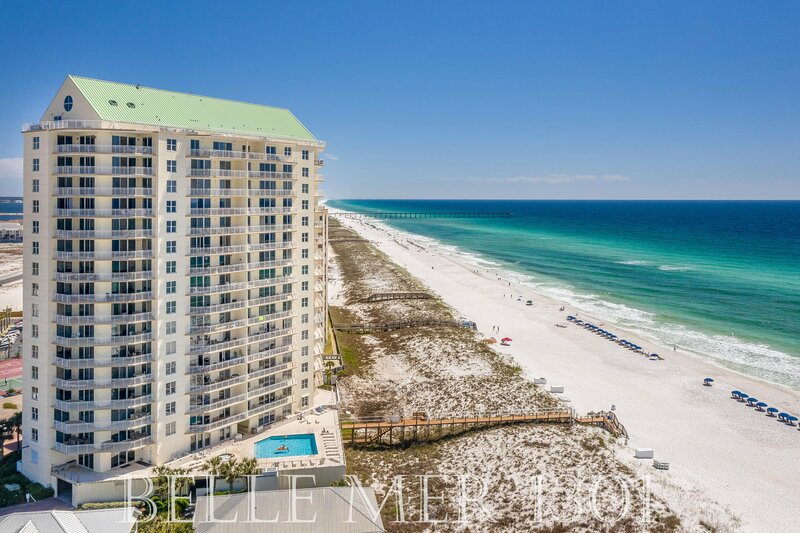 This will be Excellent for Primary or Secondary home or Vacation Rental! 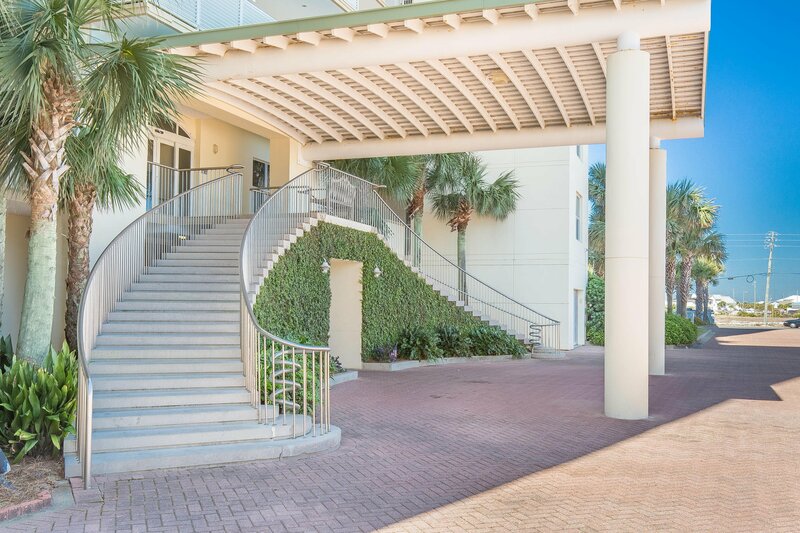 As you enter the condo, you'll be greeted by a huge Entry Foyer and notice this is not an ordinary condo, in fact, this was a Specially Designed by the Developer. 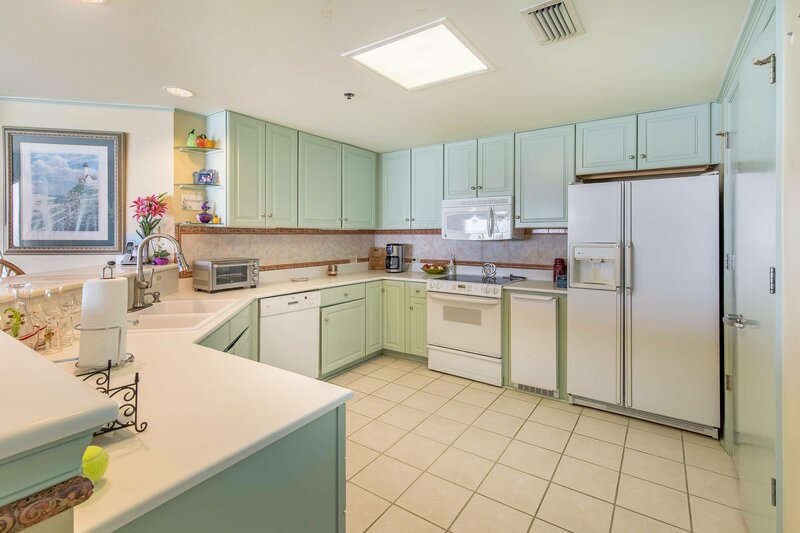 The Laundry Room is big enough for Washer, Dryer, and a Full Size Refrigerator... ... as well as shelving/clothes storage. 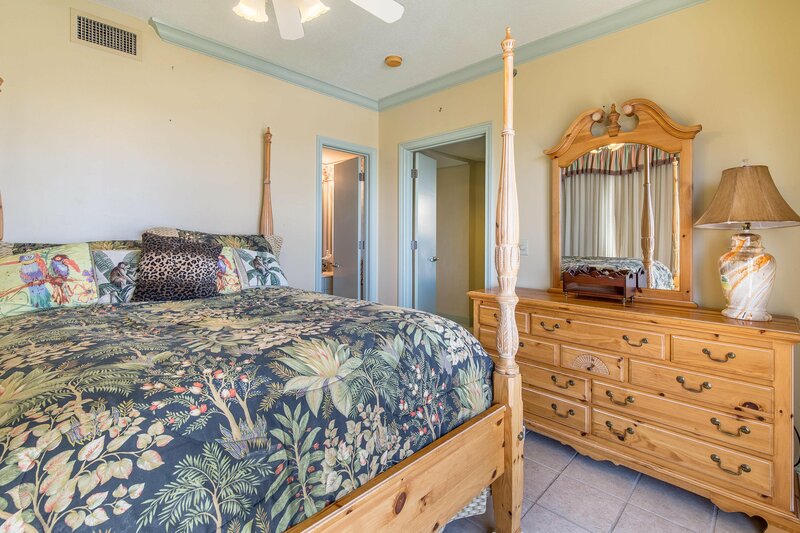 The unit also comes with two HVAC systems and Walk-in Closets & Bathroom for Every Bedroom. 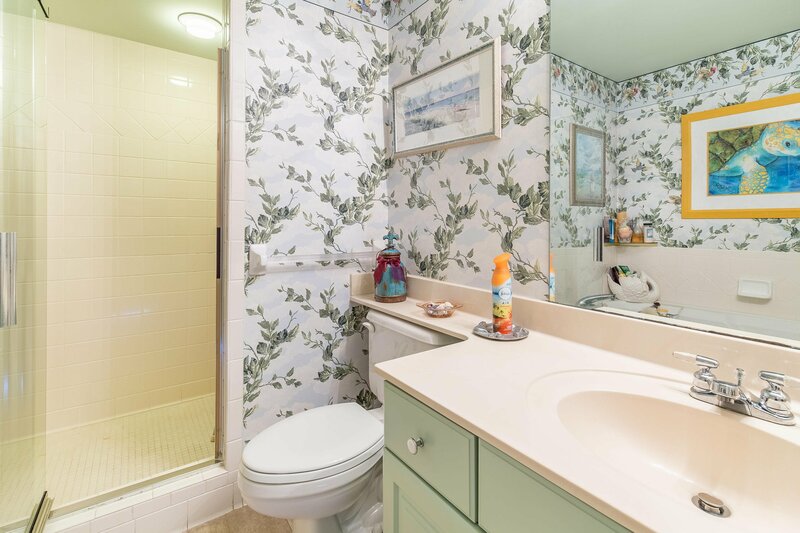 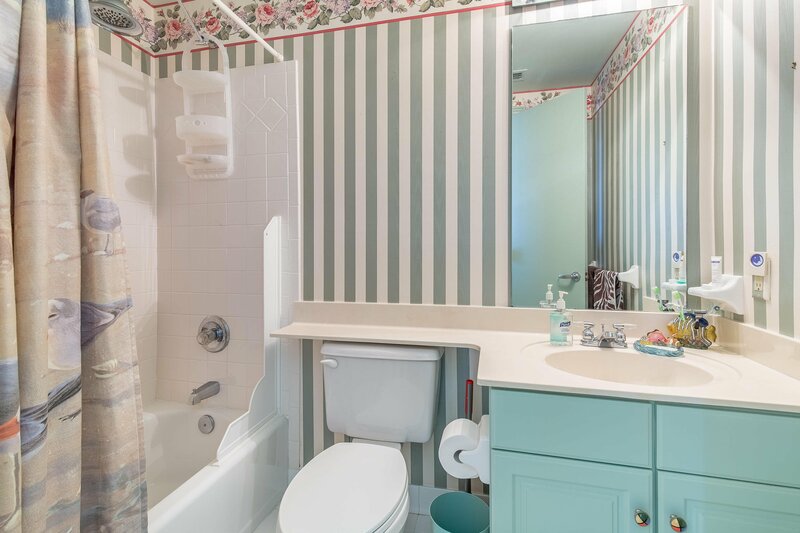 The Master has dual Separate Vanities. 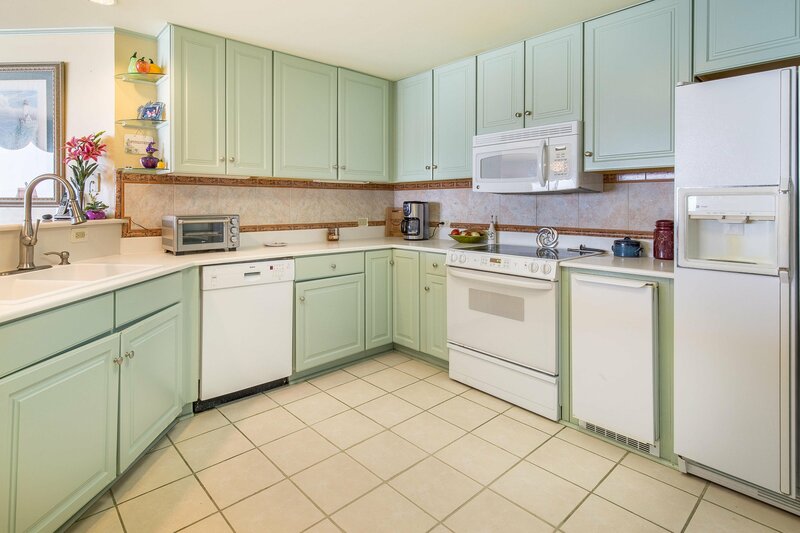 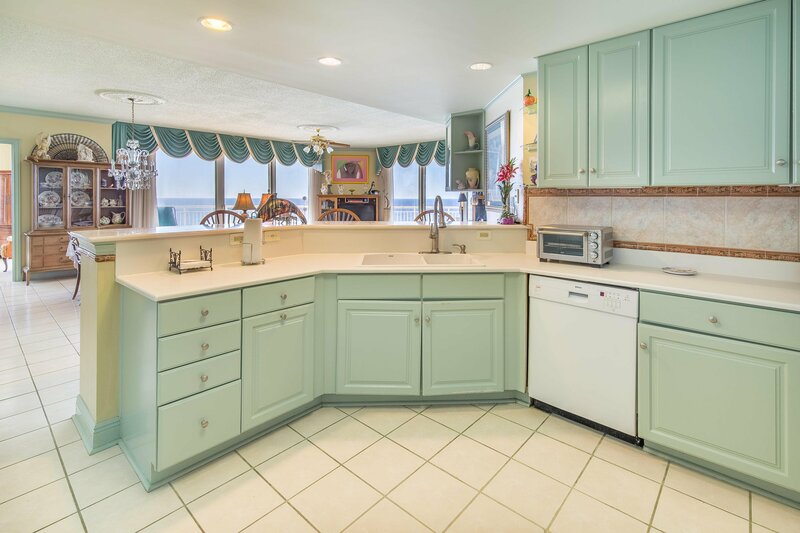 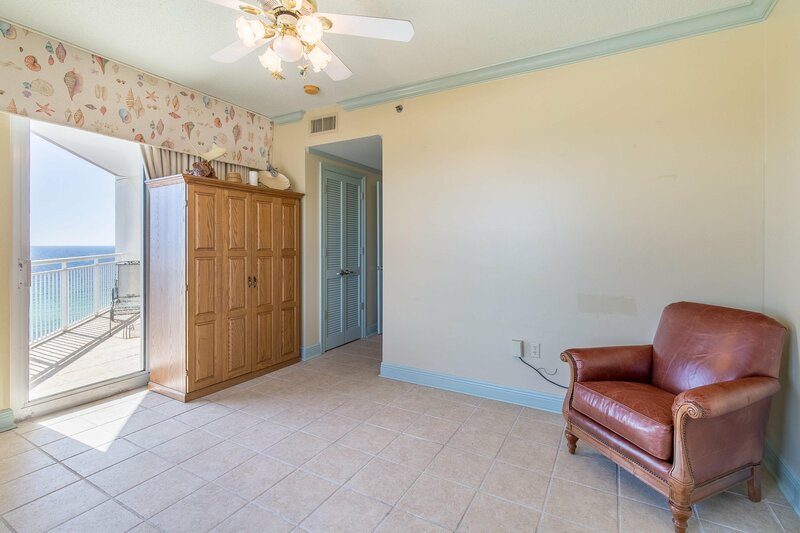 Kitchen is spacious with Large Pantry and Breakfast Bar. 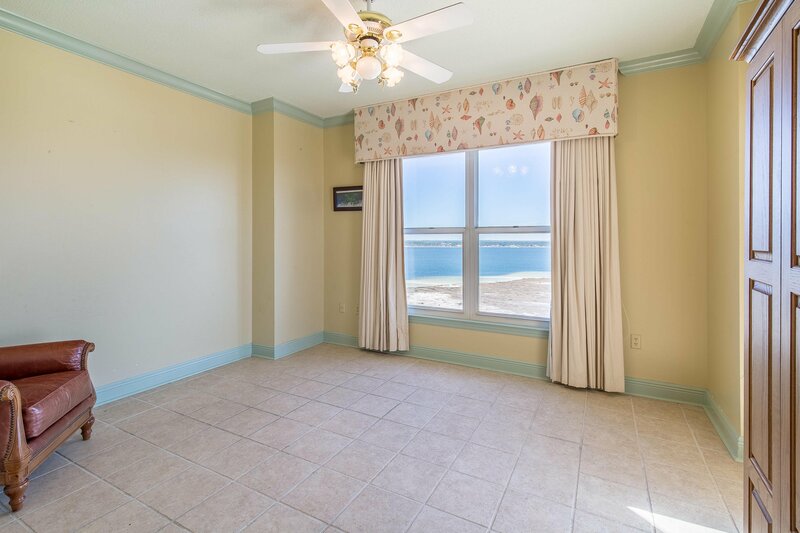 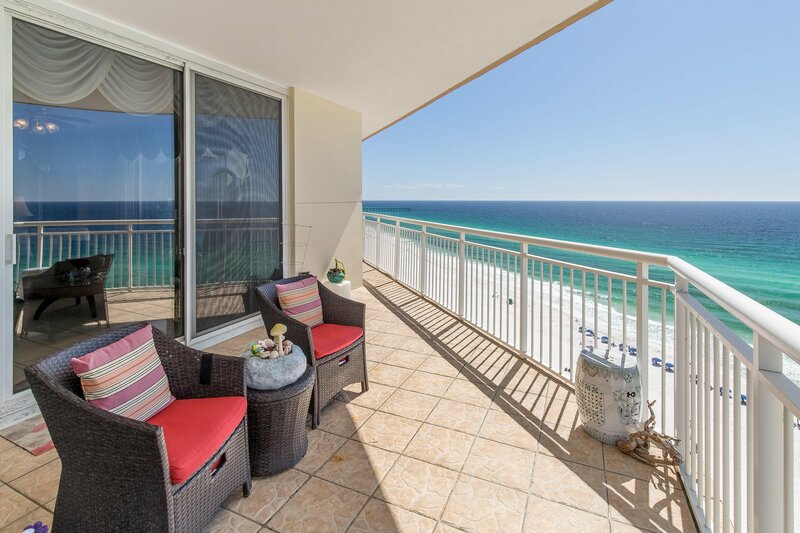 When you step into the Great Room, you'll feel the spaciousness with the Open Living Concept and Mind-Blowing Views of the Emerald Coast's magnificent waters. 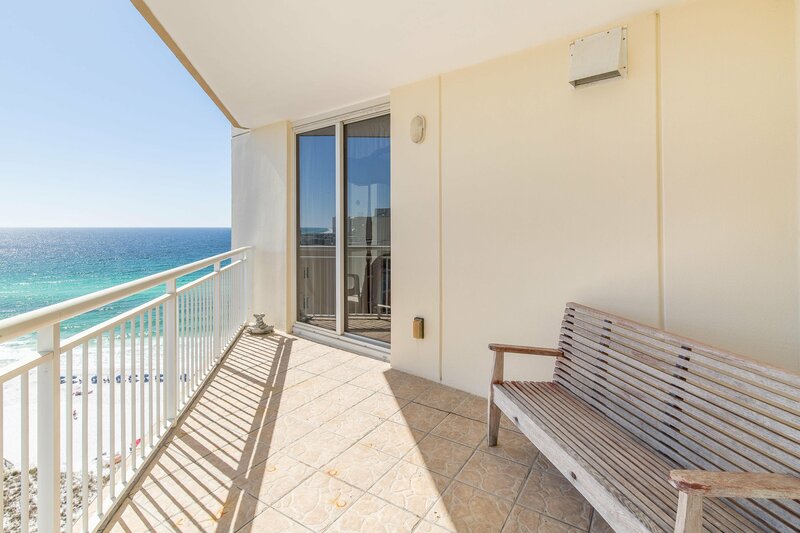 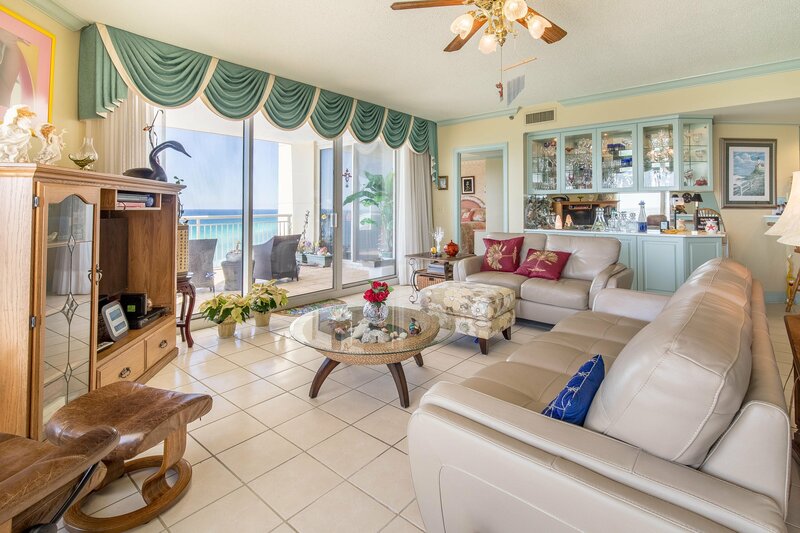 The Living Area and Balconies provide incredible amounts of space, perfect for entertaining and relaxing, viewing the Sea Life, and enjoying those UNFORGETTABLE Sunrises AND Sunsets. 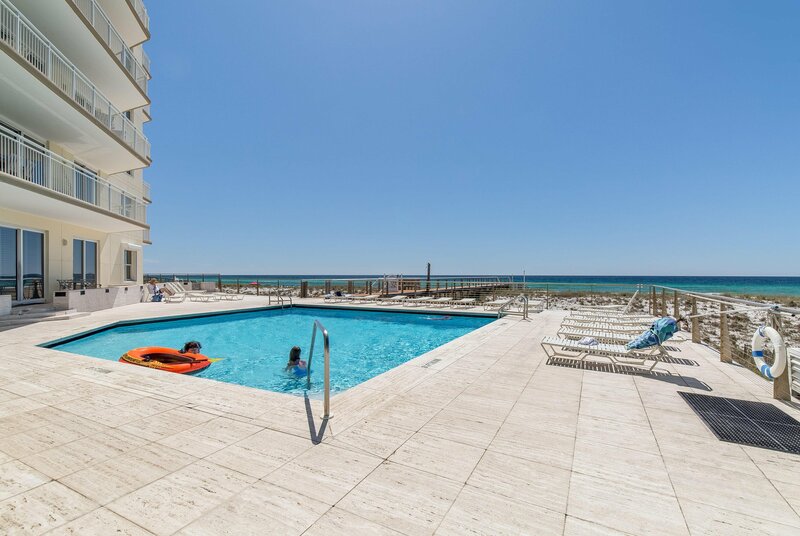 Spring is here and Summer is Around the Corner! 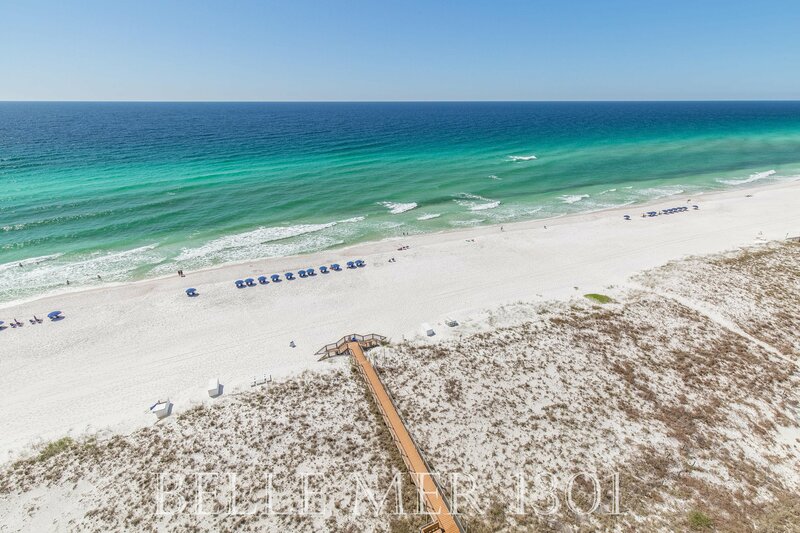 Don't Miss this Opportunity to own a RARE Beach Property, and one of the BEST on the BEACH! 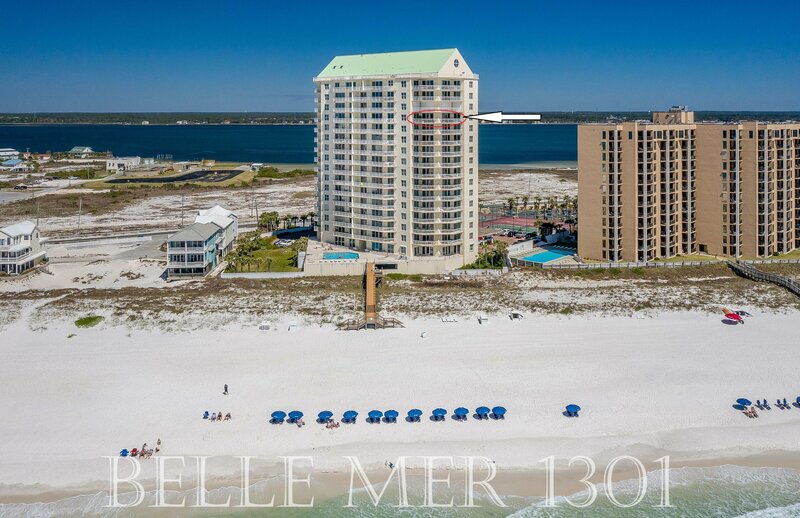 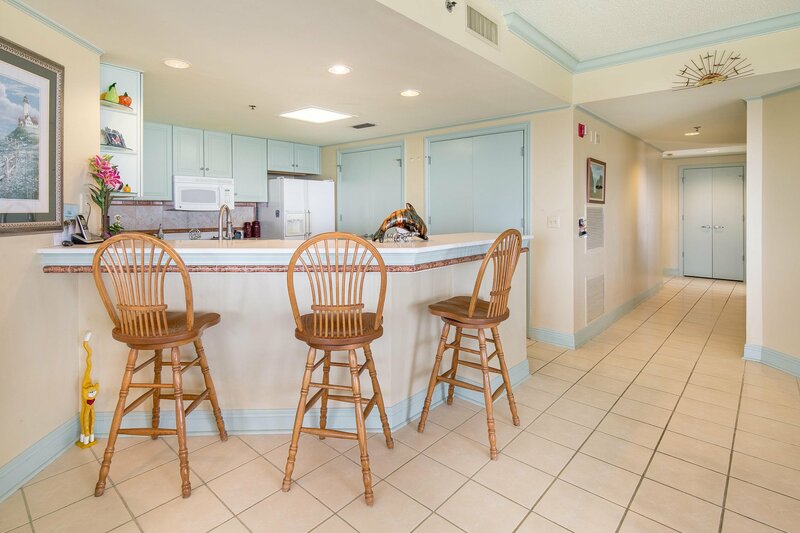 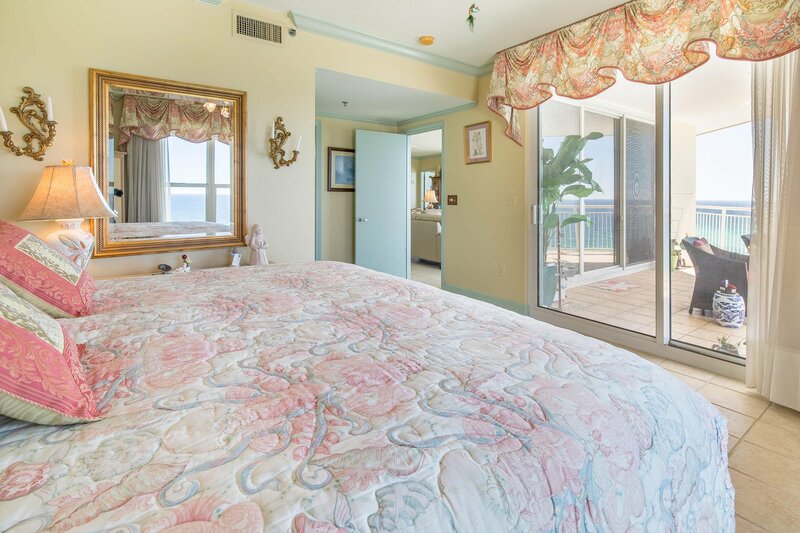 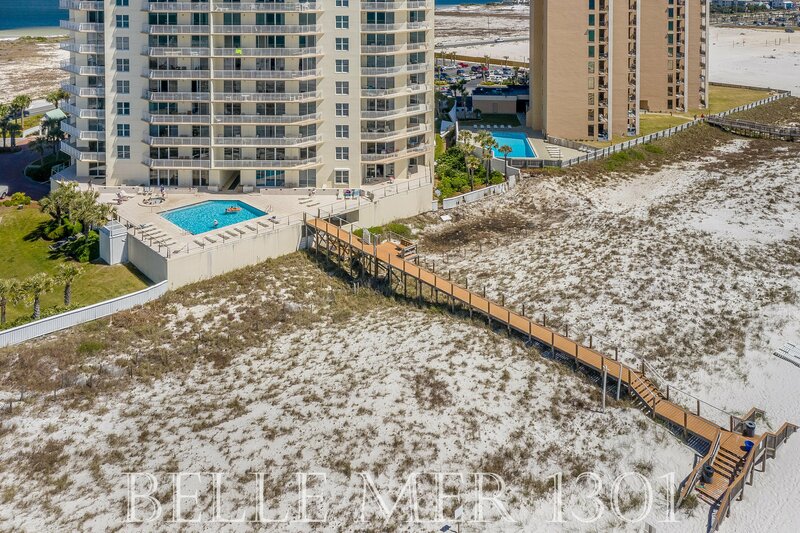 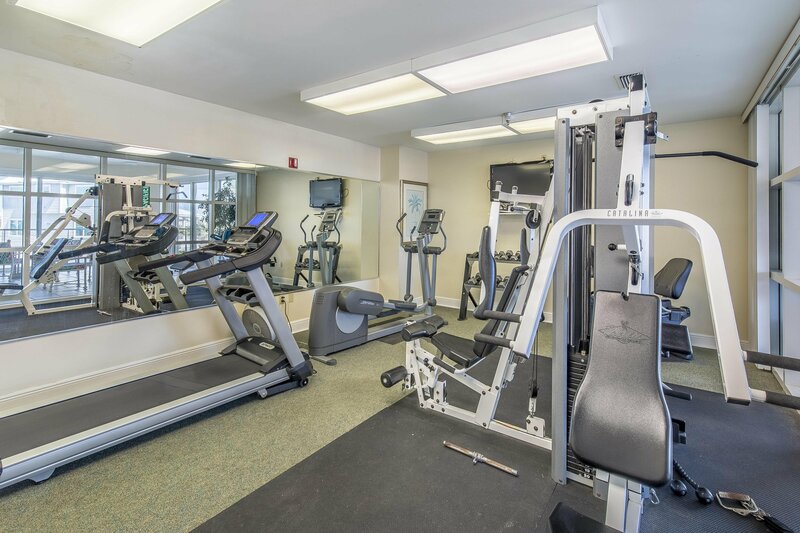 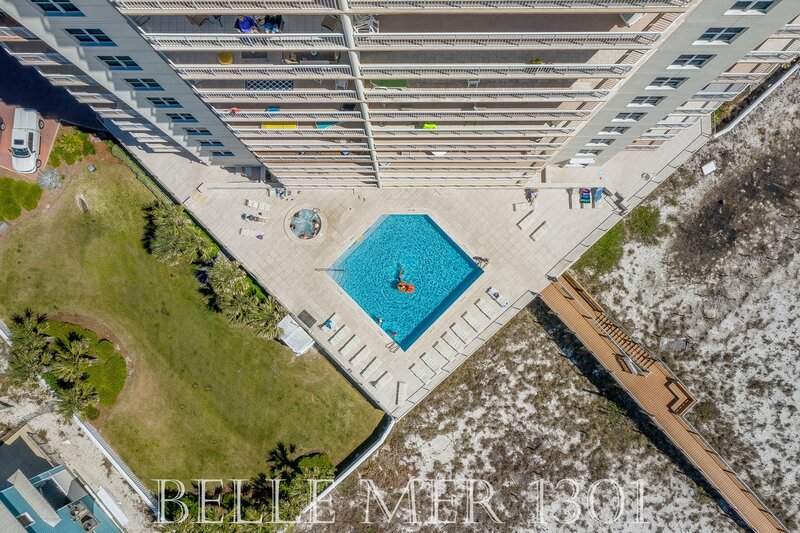 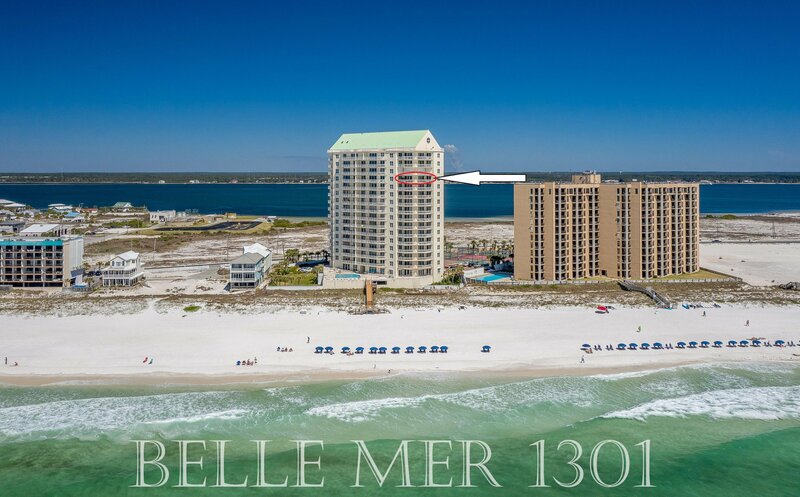 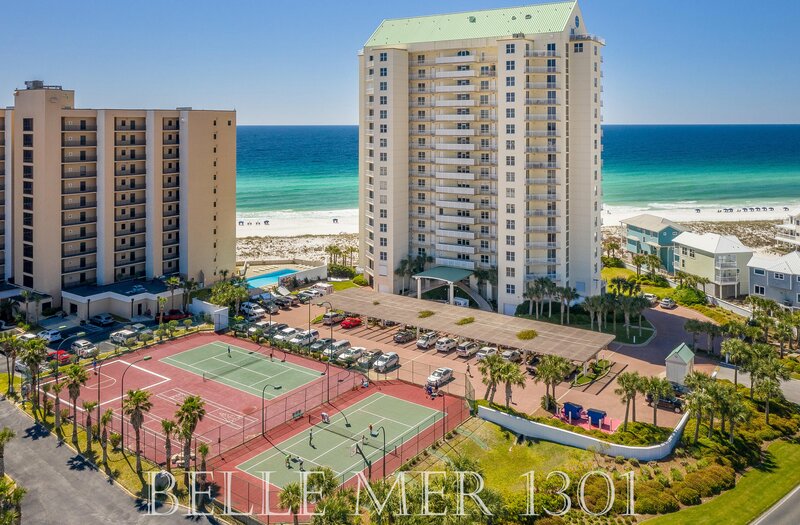 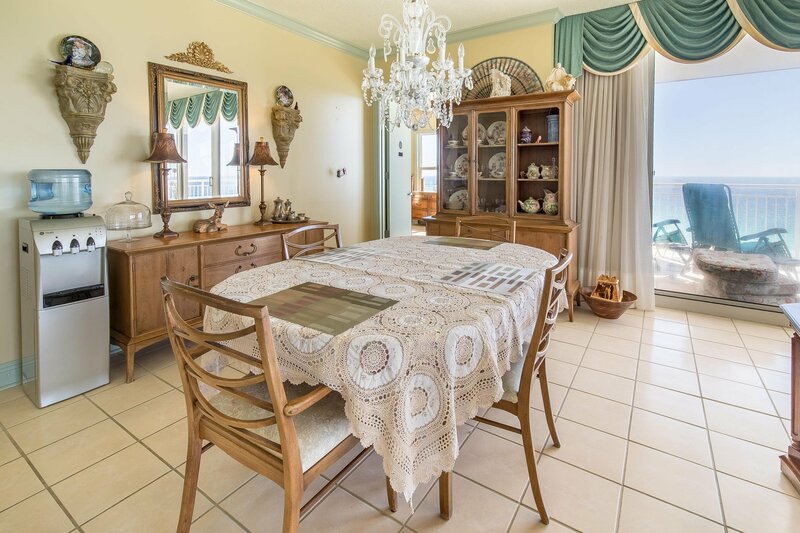 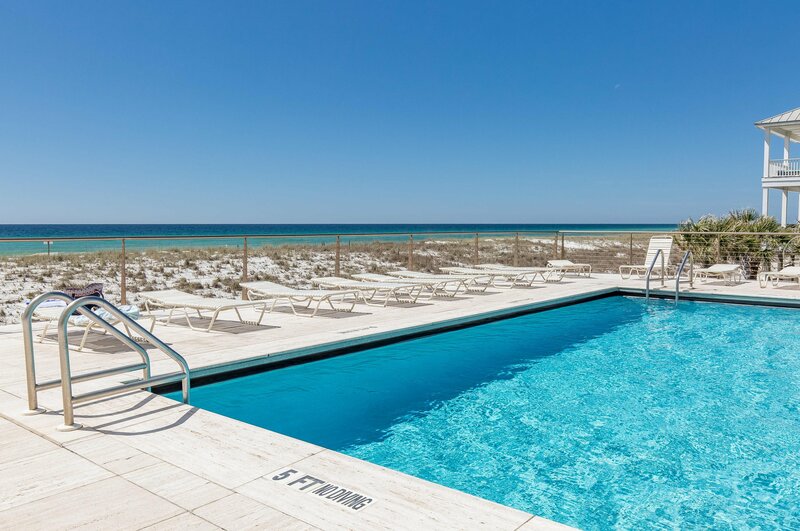 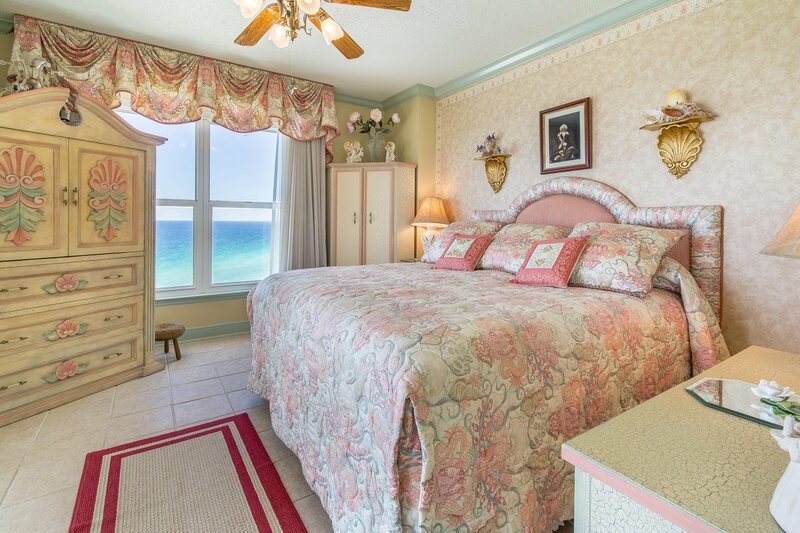 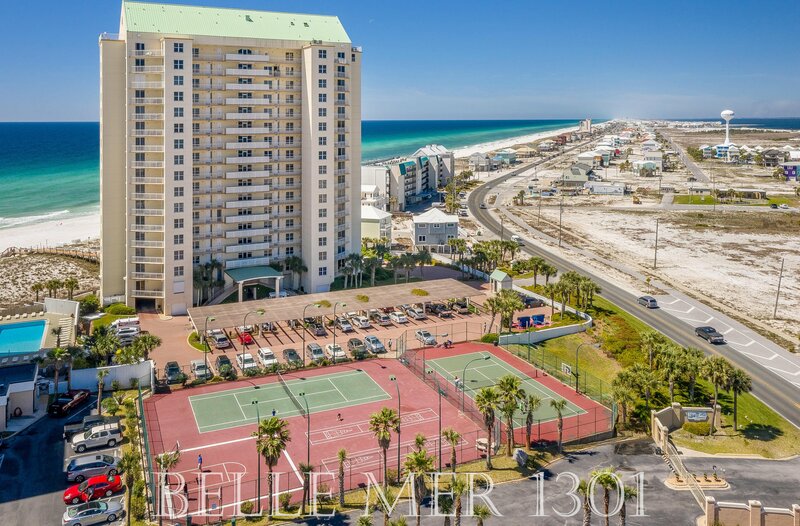 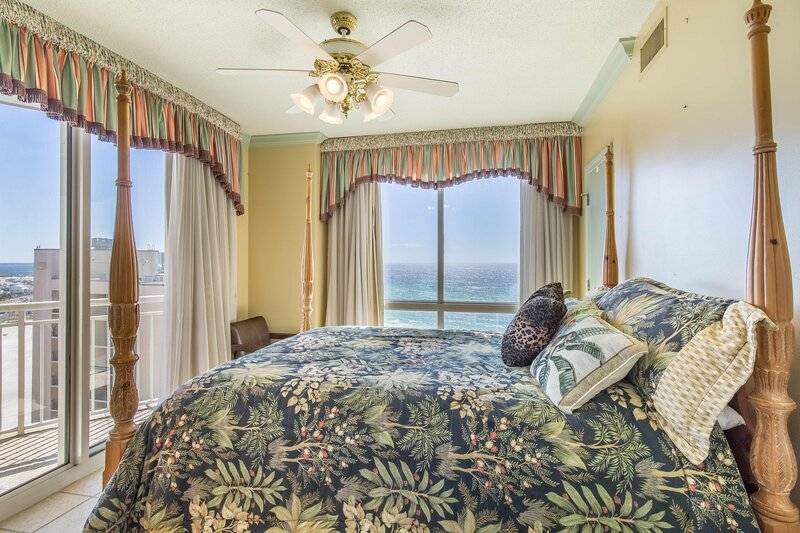 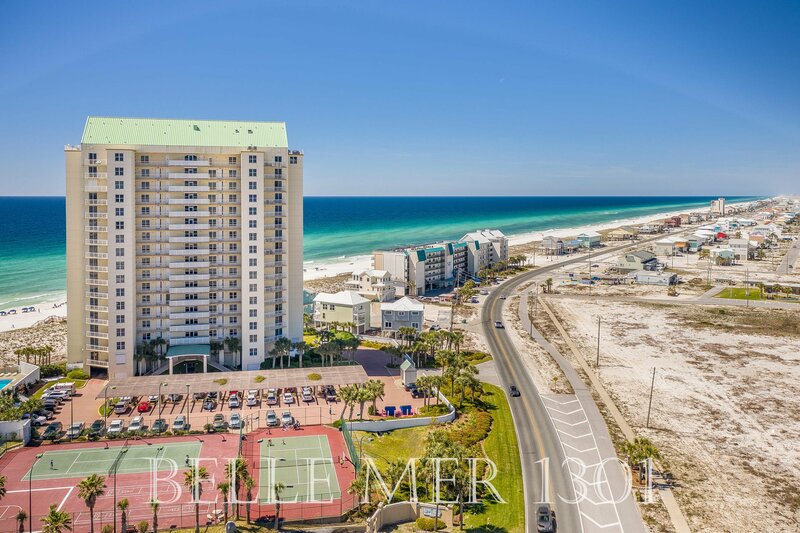 Belle Mer offers an outdoor Swimming Pool and Hot Tub, Fitness Room, Tennis Courts, private Dune Walkover Beach Access, Large Cooled Elevators, and a Grand Entrance to the Building. 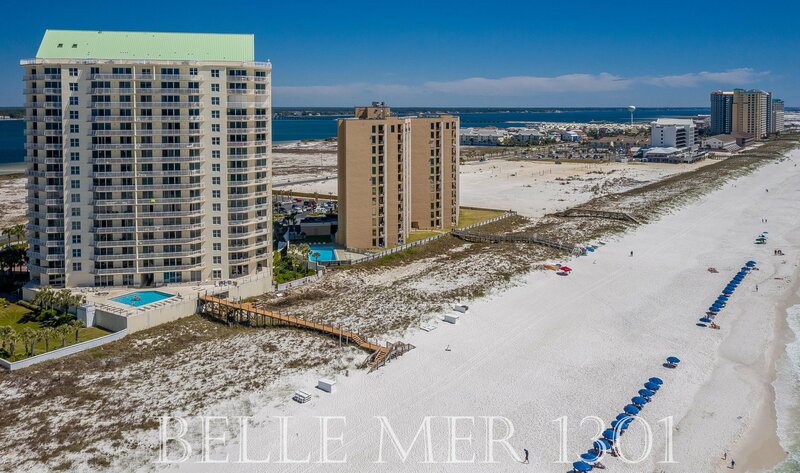 Belle Mer's location provides for generally a lower traffic beach experience and 200 Ft of Beach Space. 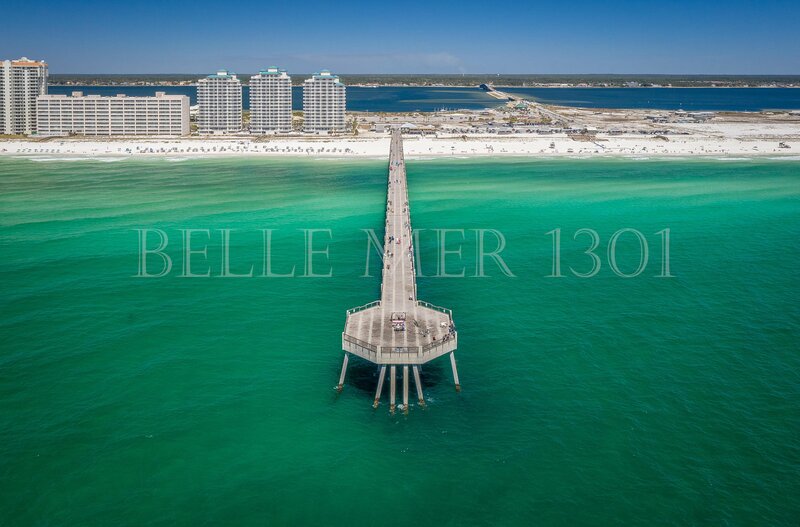 Navarre Beach is home to Florida's Longest Fishing Pier and has plenty of biking & walking paths, parks, and miles and miles of untouched incredible beaches along the Gulf Islands National Seashore. 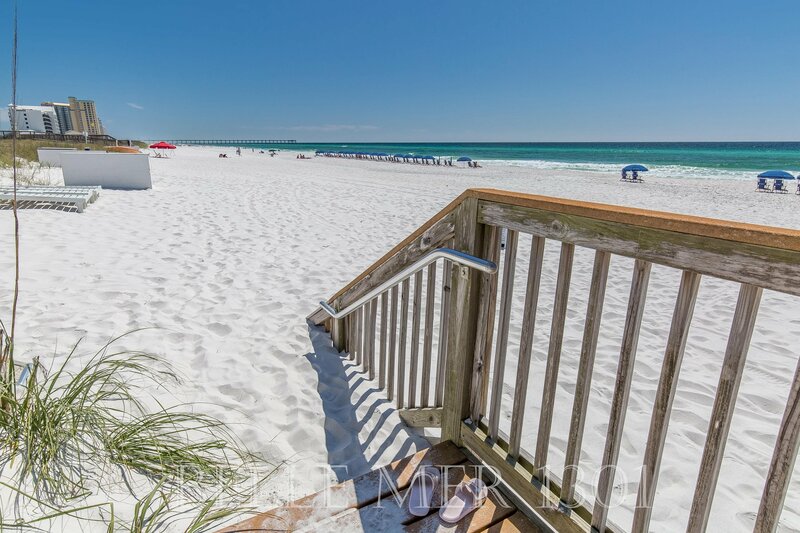 As one of the last areas with the "Old Florida" appeal, Navarre Beach has been coined "Florida's Most Relaxing Place."